Love Renovate — What type of material should I choose for my bathtub? What type of material should I choose for my bathtub? With product and technology improvements, there is so much choice now available when choosing a new bathtub. Remember that there are pros and cons to each of the popular materials - your choice will ultimately be dependent on who will be using the bath and the scale of your budget! Acrylic has long been the most popular option in the UK market - mainly because it's the cheapest material, so it's perfect if you are on a budget. 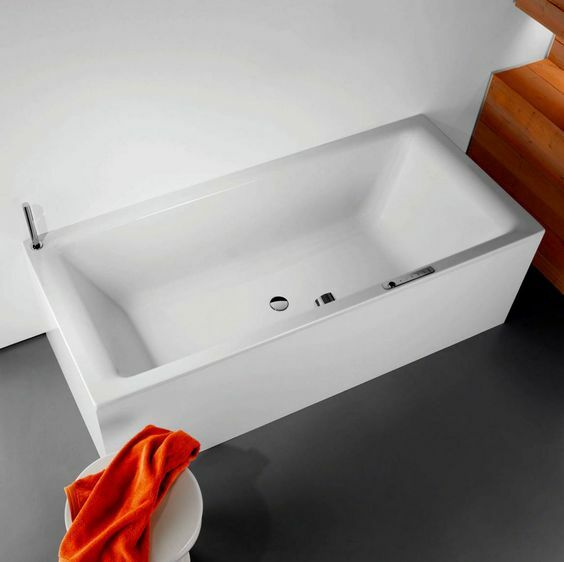 Most quality acrylic baths now come reinforced with glass fibre and with a wooden base board, so they are stronger and less flimsy than they once were. Just make sure you avoid a real budget acrylic bath to ensure it's not weak and cheap looking. A young family where you plan on replacing the bath again in around 10 years time. Acrylic is also a great option when you are on a tighter budget but still want the bathroom to look great! All large DIY stores and bath retailers supply a range of quality acrylic bathtubs. Steel enamel has long been considered the best choice when it comes to choosing a bath if you have a slightly bigger budget. Some premium retailers only manufacture baths in steel because of the quality of the product, but you can find steel enamel bathtubs in many high street retailers. Retains the heat so perfect if you like a long soak! If you are investing in your property and want a bath that will last for years. Enamel steel bathtubs are more expensive than acrylic but they won't cost the earth either. They are also perfect for an adults only bathroom where you want to relax in the bath for a long time. You just need to take a bit more care than you would with acrylic. 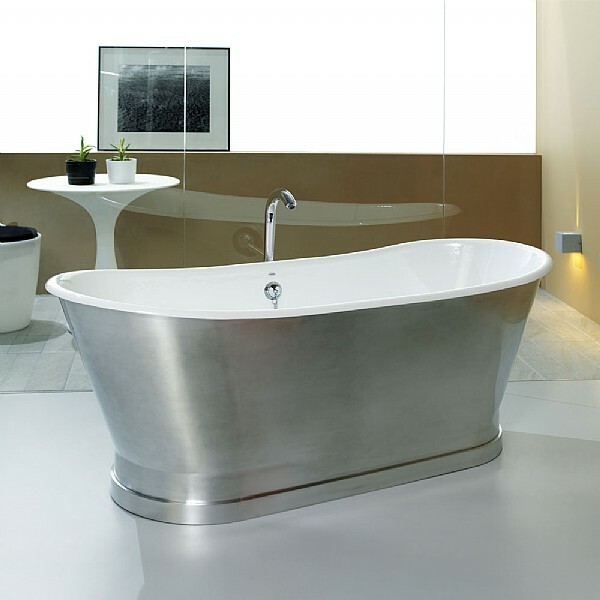 Kaldewei are famous for producing steel baths which are excellent quality and are also good value for money. Also look at brands such as Bette for a good quality steel bath that will last for years. We adore cast iron baths and our dream bathroom would feature a traditional freestanding cast iron bath finished in copper! 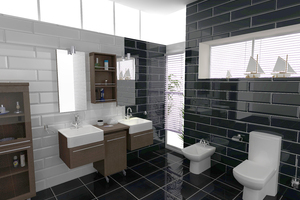 They are expensive and best kept for a luxury bathroom - a space where you can really indulge. Made from layers of porcelain enamel which are then fused onto a cast iron shell - this is the most traditional method for making a bath. Retains the heat so no need to top up with hot water! C.P. 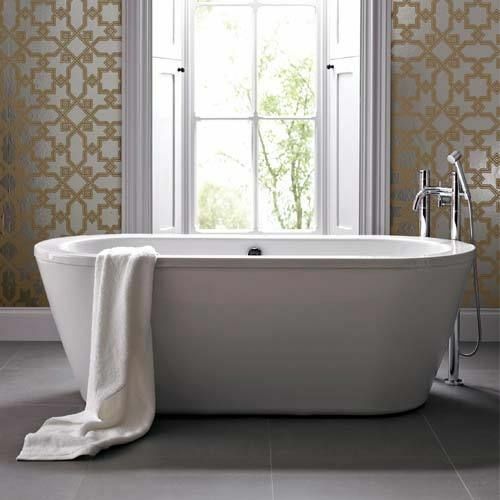 Hart have a beautiful range of cast iron baths to choose from and we really love the Camden Freestanding Bath. Also check out specialist companies such as the Cast Iron Bath Company which sell cast iron baths starting at around £800.